Constructed to run light express trains, Kitson's engine had two water tanks, beneath the boiler and footplate, and did not require a tender. The driving wheels were 6 feet in diameter. 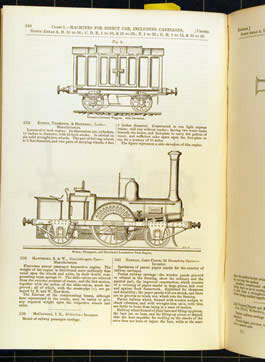 The side elevation is reproduced from the official Descriptive and Illustrated Catalogue.